Cydcor Is Headed to Guatemala With Operation Smile! 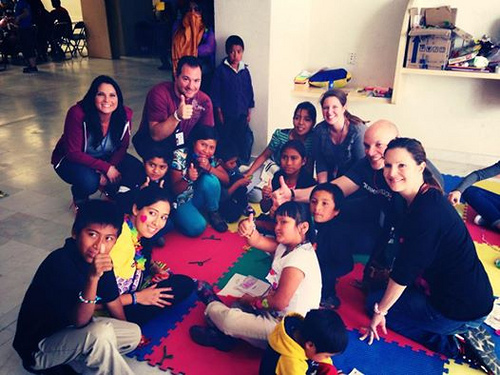 Cydcor volunteers on our previous mission trip to San Cristobal de las Casas, Mexico. In March of this year, Cydcor volunteers went to San Cristobal de las Casas, Mexico, thanks to our Operation Smile fundraisers—which have raised over $480,000 for the children’s medical charity to date. Helping to fund cleft palate surgeries for needy children around the globe, Cydcor has previously volunteered in Brazil in 2012, where more than 600 surgeries were provided to children. Cydcor is proud of this partnership with Operation Smile, and with the great success of our Week of Smiles campaign, we are funding another medical mission trip to Guatemala in November 2014. Spending a week in Guatemala, our volunteers will support the screening process, helping families through the procedure and entertaining children while they wait for their procedures. The mission involves sending doctors, volunteers and equipment to an area where access to healthcare is difficult, providing screenings and surgeries for children. Cleft palates often result in complications to eating, drinking, speaking and even breathing, and many infants do not survive. Operation Smile and Cydcor hope to restore millions of smiles and give those children a better chance of thriving. One of the most rewarding aspects is our chance to spend time with the families of the children being operated on and see them through the transition of surgery. A large part of Operation Smile’s strategy is to assist facilities in the field, helping enable them to provide treatment of cleft palates and other facial deformities. You can make a donation to Operation Smile today and support this great cause!